Pretty much everyone plugged into pop culture has seen or at least heard about the infamous surprise kiss Madonna planted on rapper Drake last week at the Coachella music fest in the California desert. A lot of fuss has been made about the Material girl's age, but she's still fab at 56. Although we don't think the 28-year-old hip-hop heartthrob was necessarily grossed out because of Madonna's, um, maturity, the way Drake was seated when the kiss happened was super awkward (see above gif image). And that could have caused him to nearly lose his lunch. Drake, on the other hand, says he wasn't turned off by the lip lock. Instead, he blames the taste of Madonna's lipstick for his less than flattering reaction. We guess her lip gloss wasn't poppin'. So you don't make the same faux pas, here are Everything She Wants' picks for spring lipsticks that won't make Drake, or any other guy, gag. 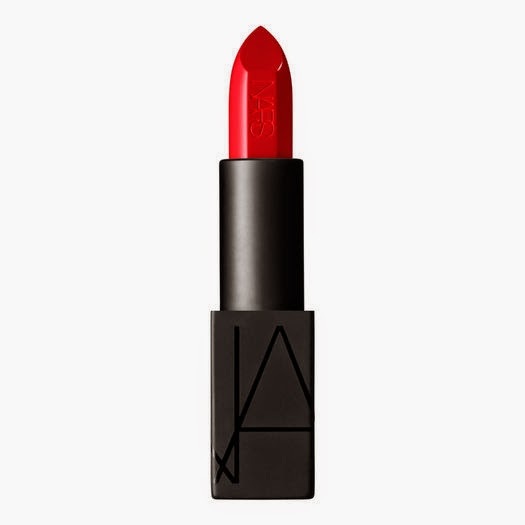 NARS Audacious Lipstick ($32 in the red hot shade, Carmen. Before you pucker up, apply SheaMoisture Lip Exfoliator ($7.99), made with a combination of apricot seeds and sugar to help exfoliate the lips and remove dead skin. Then coat your pout with SheaMositure's paraben-and-talc-free, luscious Lipstick Crayon ($9.99). Laura Geller Love Me Dew Moisturizing Lip Crayon Trio ($25) come in vibrant colors infused with hydrating vitamin E for soft, kissable lips. Jouer Moisturizing Lip Gloss ($22) is our go-to for a natural-looking lip. The 29 sheer shades are loaded with vitamin E, Shea butter and jojoba seed oil to soothe and keep lips smooth. We've recently become a super-fan of NARS cosmetics and the luxe brand's Audacious Lipstick ($32) provides dramatic, creamy and long-lasting coverage.